Car shopping in the Old Saybrook area? Look no further than the new vehicle inventory at Westbrook Toyota. We have a wide variety of models in stock, from the popular Toyota Camry to the fan favorite Toyota RAV4 or fuel-efficient Corolla. When you’re ready to take your Madison commute to the next level, stop by Westbrook Toyota to pursue the Toyota models for sale in Westbrook, CT! SUPER WHITE exterior and BLACK interior, SE trim. EPA 39 MPG Hwy/28 MPG City! Smart Device Integration, Lane Keeping Assist, Back-Up Camera, ALL-WEATHER FLOOR LINER PACKAGE, Alloy Wheels, WiFi Hotspot, iPod/MP3 Input. READ MORE!KEY FEATURES INCLUDEBack-Up Camera, iPod/MP3 Input, Onboard Communications System, Aluminum Wheels, WiFi Hotspot, Smart Device Integration, Lane Keeping Assist. Rear Spoiler, MP3 Player, Keyless Entry, Remote Trunk Release, Steering Wheel Controls.OPTION PACKAGESALL-WEATHER FLOOR LINER PACKAGE all-weather floor liners and cargo tray. Toyota SE with SUPER WHITE exterior and BLACK interior features a 4 Cylinder Engine with 203 HP at 6600 RPM*.EXPERTS RAVEOn the highway, the Camry is comfortable and compliant. The Camry's big, comfortable seats, smooth ride and powerful climate control mean a pleasant experience for passengers of most sizes. -Edmunds.com. Great Gas Mileage: 39 MPG Hwy.WHO WE AREAll preowned vehicles are covered by the Lorensen Advantage, including extended warranties and free services. For more information go to www.lorensen.com/lorensen-advantage.Horsepower calculations based on trim engine configuration. Fuel economy calculations based on original manufacturer data for trim engine configuration. Please confirm the accuracy of the included equipment by calling us prior to purchase. ^ Per dollar day amount based on 31 day month. †0.9% 60 month APR financing + $549 conveyance fee on select new 2019 Toyotas to qualified buyers with approved credit, 60 monthly payments of $17.00 for each $1000 borrowed. *36 mo. leases w/$2999 due at signing (plus $549 conveyance fee, $650 acq.fee, state fees and taxes, limit 10K/ year on approved credit from Toyota Financial Services. Security deposit waived by TFS. Call 1-800-79-TOYOTA for lease details. Stk#/MSRP – Corolla #incoming/$20,204, Rav4 #19436/$28,878, Camry #19414/$25,783, Highlander #19140/$36,154. Actual net capitalized costs: Corolla $15,299, Camry $21,012, Rav4 $24,539, Highlander $31,031. **Lease bonus cash $1250 2019 Corolla from Toyota Motor Sales USA, Inc, cannot be combined with other offers. Must be applied to the transaction. No cash payment will be made to consumer. See your Toyota dealer for complete details.Offers expires 4/30/19. 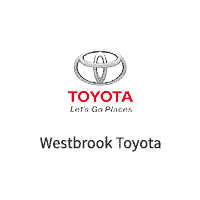 Why Choose a New Toyota from Westbrook Toyota? Your first oil change free! Our sales team is standing by to get you behind the wheel of the model that best suits your budget and driving needs, and it’s their goal to make the car-buying process that much less stressful. Contact us today to get the process started. Many Toyota models, including all 2019 Toyota Camry trims, now come standard with Toyota Safety Sense™. Learn more about the great features you’ll get from this advanced safety technology, or preview the next generation of Toyota performance by taking a look at the 2020 Toyota Supra.